Here’s a selection of our rails that we’ve designed and built for companies in the retail clothing sector. The rails are built to be safe and easy to handle, even when fully loaded. We are able to design, build and modify these designs to suit your needs and produce low and high volumes. 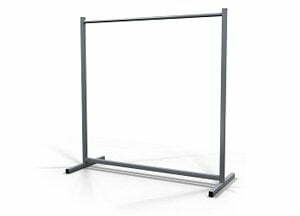 This garment rail has an adjustable mid-bar for long or short hanging. 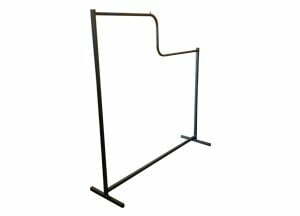 The mid-bar is captive to the clothes rail. 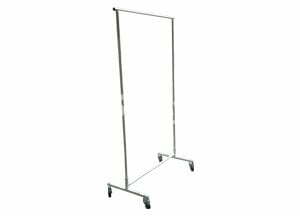 Fully welded, with quality wheels – our most popular heavy duty garment rails. 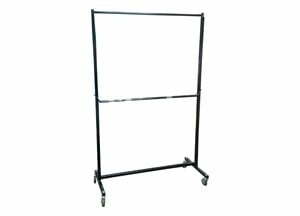 This rail is ideal for hanging prom dresses, wedding dresses or shorter garment for storage. The wheels enable mobile “live” storage of valuable stock- maybe last years’ styles. Can be made various heights. Economic Rail creating visual interest on the sales floor. Ideal in crowded shop. Available in wide range of colours. These rails are excellent for behind the till, creating on-the-spot hanger segregation. No more carrying boxes of tangled hangers! 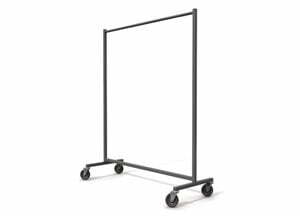 An ideal rail for replenishment on the shop floor, Pick & Pack in the warehouse or simply stationed behind the returns desk. 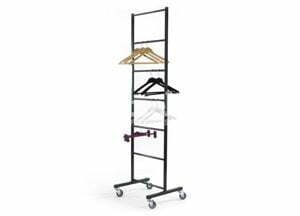 The fully welded chassis and quality rubber castors enables operators to manoeuvre these garment rails effortlessly – and they store as one unit when not in use, to keep the parts together. 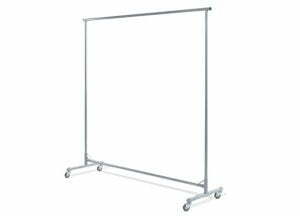 Demountable, light yet sturdy this rail is ideal for exhibitions and pop-up situations. 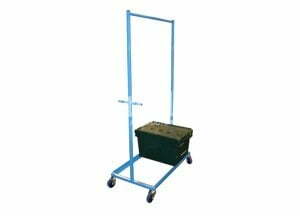 Quality castors ensure you push this rail loaded for long distances with live effort. Requires no tools to assemble. 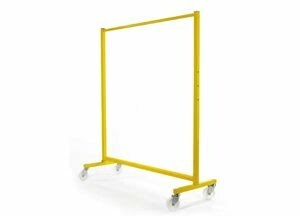 An old time rail, great for moving in large quantities. 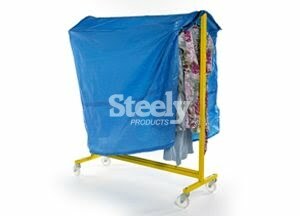 Shoulders that can be used as handles and offer side protection to clothes when in transit. Constructed from strong water resistant material. Industrial yet light weight and easy to fit. Enhances security with clothes being out of sight “under wraps”. 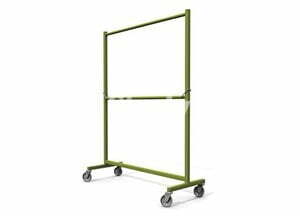 Strong, well-built garment rails designed for hard use in the supply chain environment. 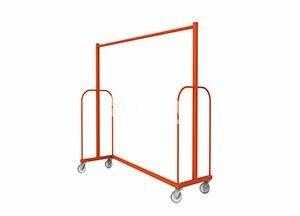 Range of rails for warehouses, back of store and shop floor use - all built to last.